DriveNow, a car-sharing service from BMW and SIXT, has appointed We Are Caffeine as its retained PR agency following a five-way pitch. DriveNow was launched in London in January. Thirteen Communications was appointed for the launch. The joint venture between BMW Group and SIXT aims to reduce emissions and traffic volume. Unlike traditional car hire services, customers can leave their car in any legal parking space within the DriveNow business zone. Drivers pay a fixed rate of 39p per minute that includes fuel costs, insurance, car tax and virtually unlimited mileage. DriveNow has more than 10,000 users in four boroughs across north and east London (Hackney, Islington, Haringey and Waltham Forest), and is due to expand further into London by 2016. Jamie Walden, director of We Are Caffeine, said: "We are so excited to be working with a genuinely cutting-edge brand like DriveNow that’s disrupting what has traditionally been a fairly static industry. It’s a fantastic service, and one that we were using ourselves before winning the account. The sharing economy is becoming an increasingly relevant topic for Londoners, and we’re looking forward to supporting DriveNow as it expands its reach through London." 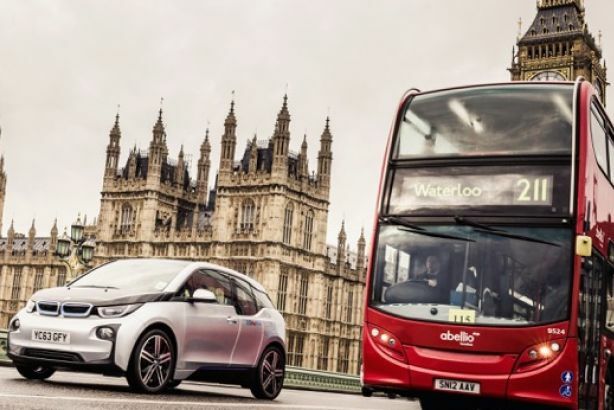 Joseph Seal-Driver, UK managing director of DriveNow, said: "As a relatively young company here in the UK, we needed an agency with energy, enthusiasm, fresh ideas, and a firm grasp of our brand values. After a competitive pitch process, We Are Caffeine was the stand-out candidate." We Are Caffeine was launched last year by three former Freuds account directors. The agency was recently appointed by drinks giant Pernod Ricard to work on The Venture campaign.